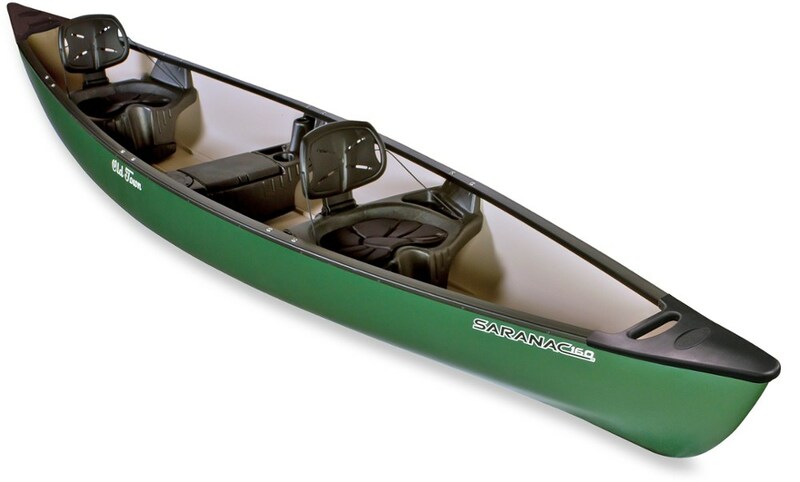 A GREAT canoe for not only mornings fishing, but for the more die-hard paddling adventurer looking to get away from the busy life of society and venturing into the land of mountain air, soaring eagles, and trout the size of small children! 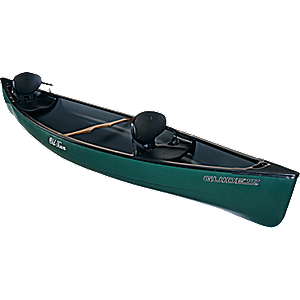 I have used this particular canoe on multiple occasions both fishing hidden coves in nearby lakes to extended river trips with friends. The first thing I noticed once I sat in the canoe was how comfortable and stable it felt as I situated myself for a 20-mile trip down river. Never was I concerned with the fear of tipping it over while positioning myself in rapids or reaching for my water bottle. With plenty of cargo space, useful gear anchoring points and a design intended for smooth paddling myself and a buddy of mine comfortably set off on a 4-day canoe trip through a national forest. The trip was an excellent test of just how useful this vessel can be on serious water. We were pleasantly surprised at how stable it was landing on shore for camp, and how simple it was to portage on trails with our packs on our backs. I grew up in old school aluminum canoes and I also own a Coleman Scanoe which I LOVE when it comes to hunting and serious gear hauling expeditions, but for an all around sturdy workhorse that will take me into the great outdoors away from cell phones, reality t.v. and busy work schedules the Mad River Adventure 14 takes the cake! Any paddling enthusiast would be mistaken not to try this sweet ride out. Stable, comfortable, durable, but heavy canoe. I bought this canoe on craigslist. It's my first canoe and I bought it so the dog, girlfriend, and I could do some paddling trips. It has served that purpose well, and is great for fly fishing on ponds, as it is stable enough for me to stand up and cast around (little shakey at first). It also handles my dog's excitement over nearby ducks without a flinch. The back rests are comfortable and fold flat and secure for transport. The boat carries weight very well and paddles easily. 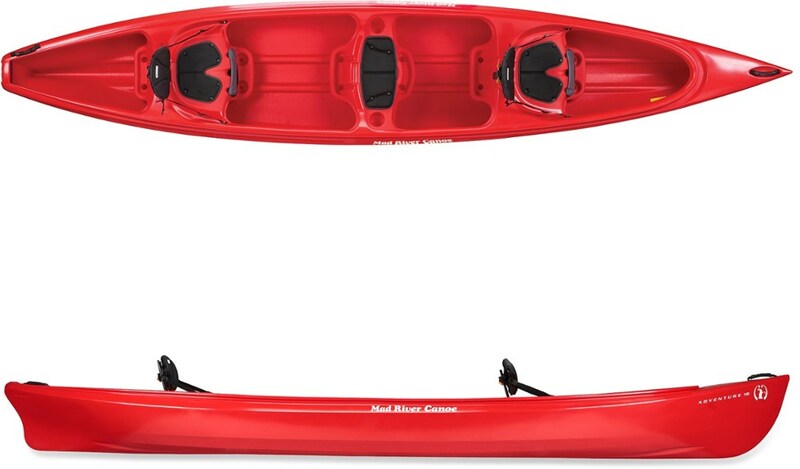 The material and hull design are very much like a plastic tandem kayak, this thing is very durable and surprisingly efficient in the water. The canoe is a little heavy, which makes loading it a little difficult. I don't have a hard time loading it myself but there's no way my 5'0" girlfriend could get this thing on my truck's rack alone (she loads kayaks alone all the time). 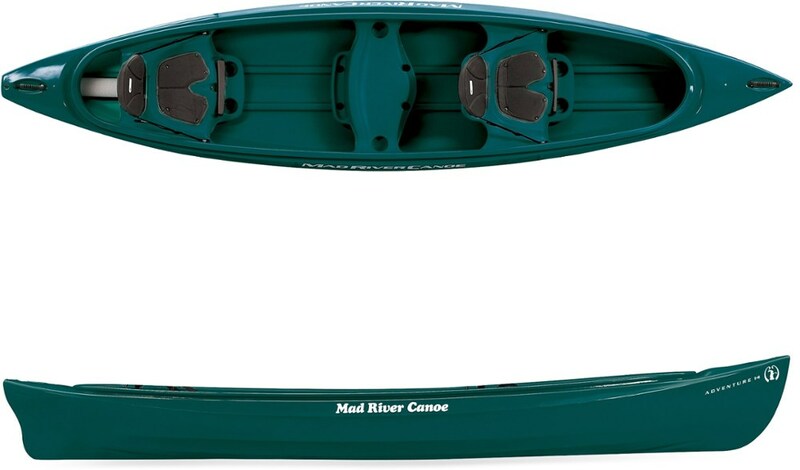 For what I payed for it ($300 hardly used), I am very happy with this canoe.